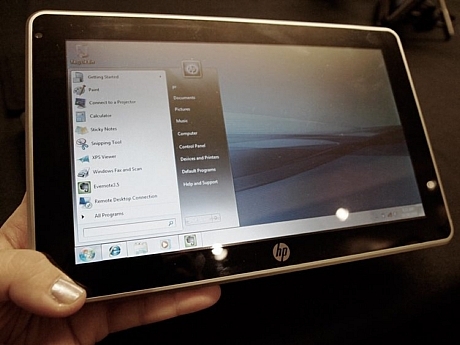 If you are looking for a tablet ideal for small business needs, the HP Slate 500 may be the tablet you are looking for. 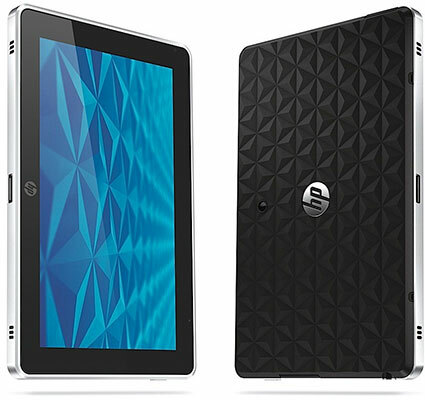 The HP Slate 500 offers multitasking capabilities, connectivity, ease of use and strong processor. 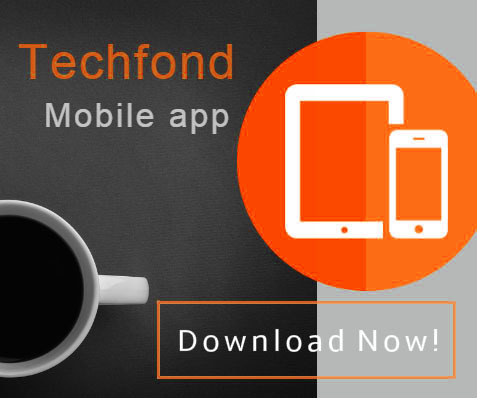 There is not a large selection of multimedia features offered but this device is designed to better fit the needs of business professionals. One feature that makes this tablet stand apart from other similar devices is the use of a digital pen. The pen makes navigating throughout the device and inputting information much easier and more efficient. 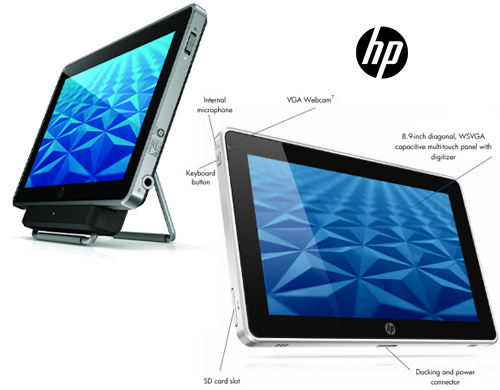 The HP Slate 500 is designed with two cameras. A VGA camera is located on the front of the device for web conferencing and a 3MP (megapixel) camera is located on the back which is ideal for capturing still images. We were glad to see this business-designed device provided such strong web conferencing capabilities. 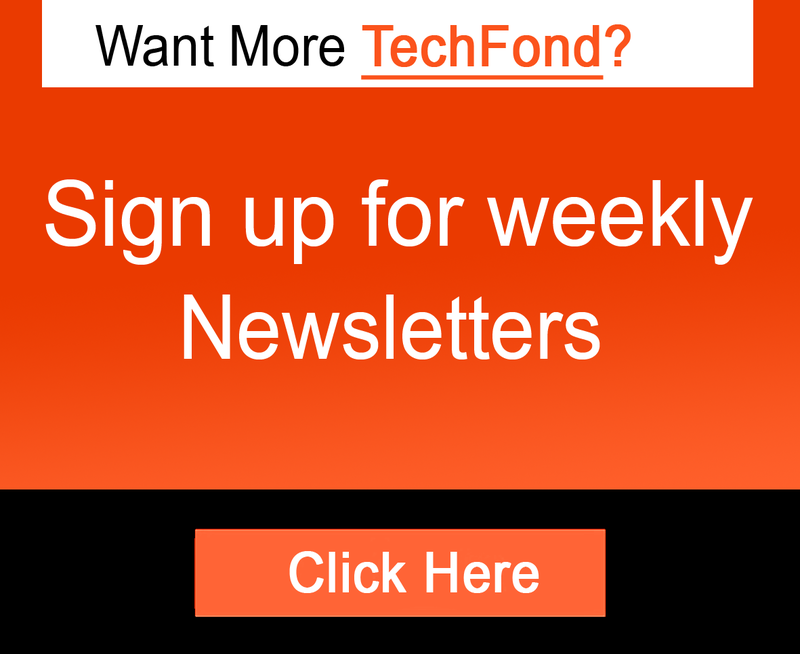 This is a feature we felt was a necessity on a device aimed toward business. The Windows 7 Professional operating system makes this product simple to use for anyone who is familiar with the Windows operating system. It was easy to navigate around and the menus and settings were simple to set up. And to make connectivity much easier, a USB 2.0 port is installed. 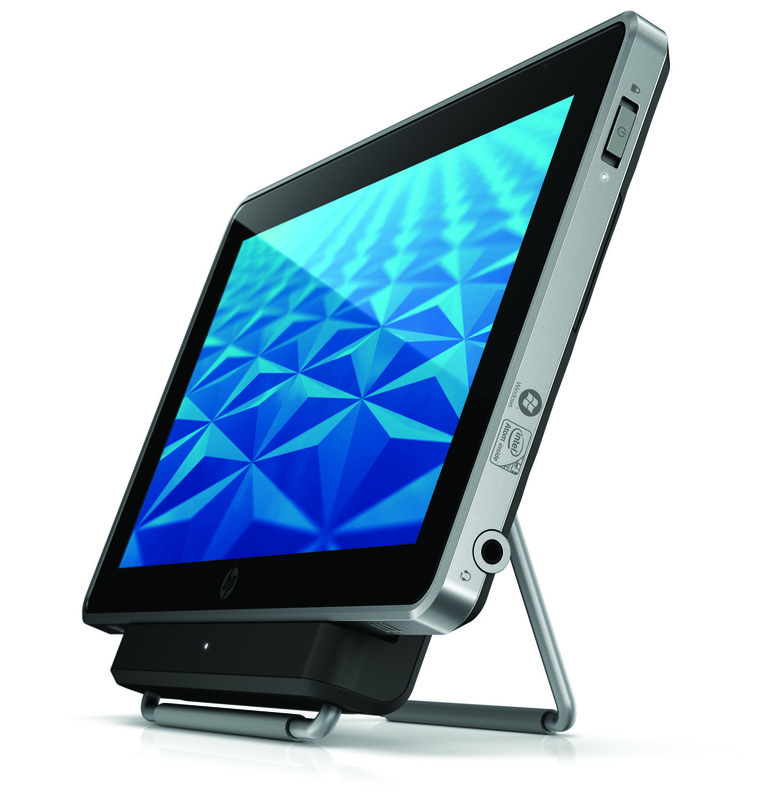 A dock is provided that stands up the device and makes it feel as if you are looking directly at a computer rather than a small tablet.